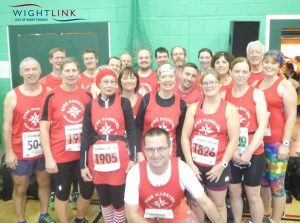 Sunday 13th January saw 23 Ryde Harriers join over 1,700 other runners to take part in the first HRRL event of 2019. 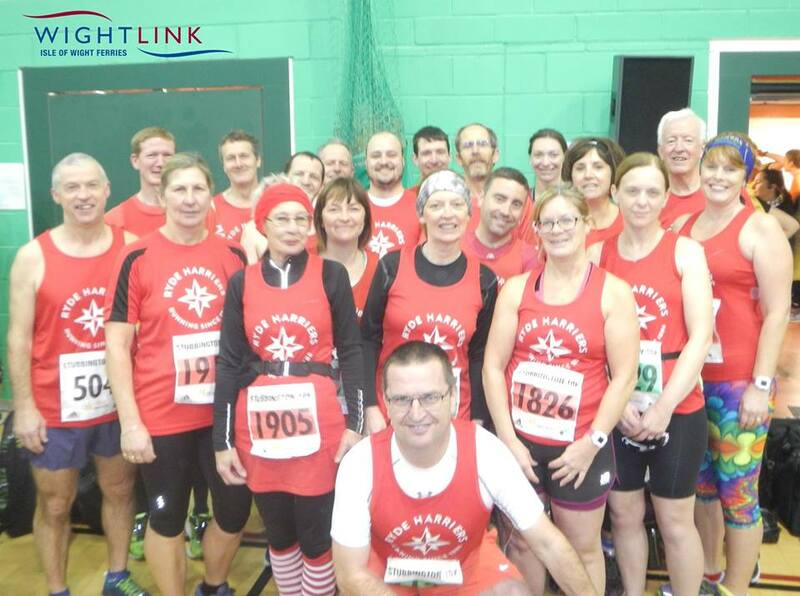 The Stubbington 10k is billed as a flat PB course but many of us use it as a bit of an ar*e-kick into the marathon training season and as our post-Christmas blow-out redemption! The ever familiar routine of the semi-dark and very cold start at the ‘wet end’ (as Trevor put it!) of Ryde Pier began the day and the exchanges of ‘I’m not going to race it’, ‘I just want to get round’, ‘Let’s see how things pan out’ and all the other ‘Get Out of Jail Free’ cards we use in case we don’t perform at our best on the day peppered the conversations. No medal for finishers for this event but the stunning long-sleeved purple and green t-shirt more than made up for the lack of bling with a few of the men admiring the fit and asking “Do my abs look big in this?”! On the start line, we were treated to Brian making sure everything was ‘tucked in’ as he juggled in his shorts until he was comfortable, the gun sounded, the bunched start soon thinned out and everyone got into their stride. Les, Trevor and Rich out in front, flying the Harriers flag whilst I had the honour of running with two guides – Pippa and Jo. A first for both of these amazing ladies and they did an outstanding job! We were even caught up at one stage by someone from another club who was interested in becoming a guide runner who chatted to us and asked our advice as we ran! (Sorry Steve! We couldn’t be rude! Club promotion and all that!). The weather held favourably for the duration of the mostly flat run taking us through the village of Stubbington, along the quiet country roads and out along the Portsmouth seafront before returning to the finish. First Harrier home and taking the 1st Vet 55 position was Les Cupis closely followed a couple of minutes later by Trevor McAlister and Richard Melville. First Harrier lady to cross the finish was Claire Grace with Catherine Young coming in a minute later and giving her a new PB. Other notable performances included Peter Joliffe (4th Vet 70), Sue Clerkin (6th Vet 70) and Craig White who ran an impressive time for his first HRRL outing. A fantastic start to the league and a great effort all round. As always, thanks to the Stubbington Green Runners and all the marshals and volunteers for a superbly organised race.